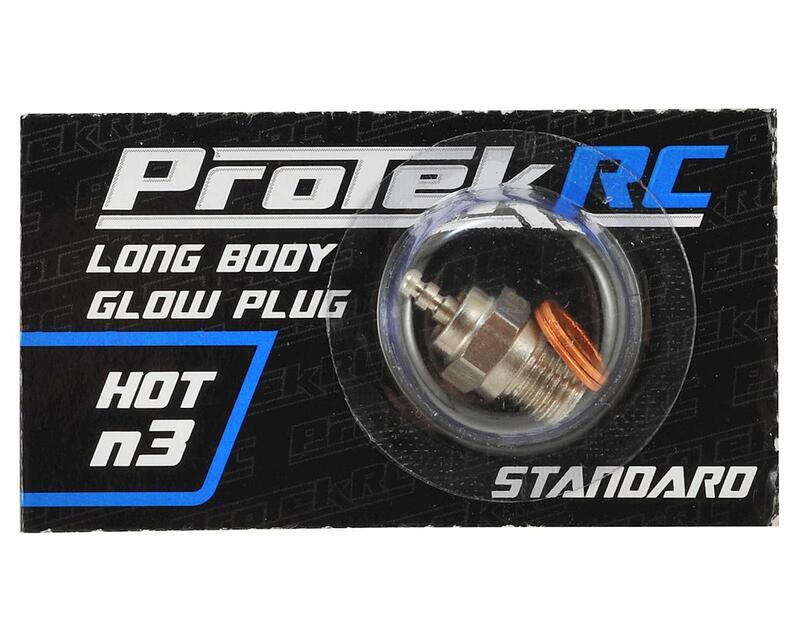 The ProTek R/C N3 Hot Standard Glow Plug is a great plug option for .12-.15 to .18 size engines used in monster trucks such as the original and newer 2.5 and 3.3 Traxxas T-Maxx trucks. This plug is recommended for hotter/humid conditions and will provide a more stable idle and crisp acceleration when compared to a cold plug. This plug is recommended for low nitro content fuels (10-20%). NOTE: For Traxxas applications, use one washer. For O.S. engines use two washers. great quality, always carry one or two in with my tools.